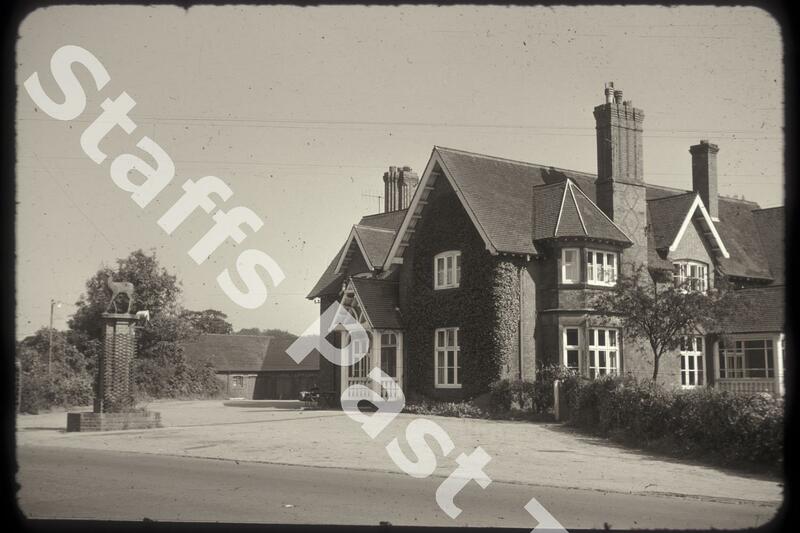 Description:The Trentham Hotel stands on Longton Road in Hem Heath. Built on the site of the Roebuck Inn in the 1860s, the hotel replaced the Trentham Inn which stood on Whitmore Road. For some time the hotel was known as Trentham New Inn. The statue of a stag in the forecourt harkens back to The Roebuck (although the sign originally came from an inn in Newcastle). Close to Trentham station the hotel provided accommodation for visitors who weren't accommodated at Trentham Hall. Still standing and in use as a restaurant, the side of the building in the photograph is largely unaltered. The porch on the front has been removed and the stag repositioned.